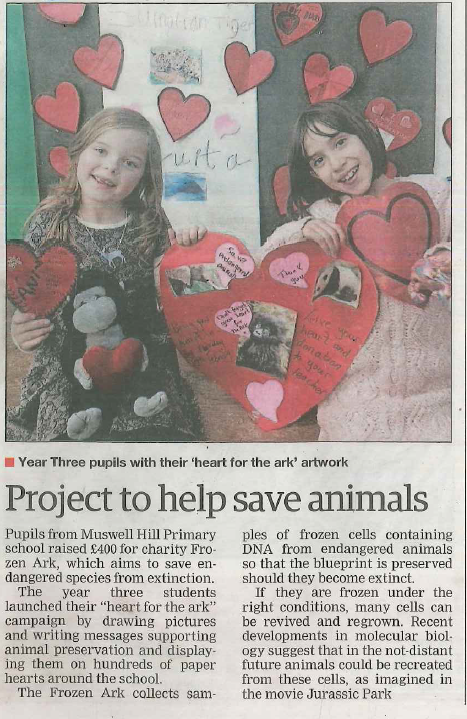 Our work with the Frozen Ark project were featured in the Ham and High newspaper! Click Here to see the article. 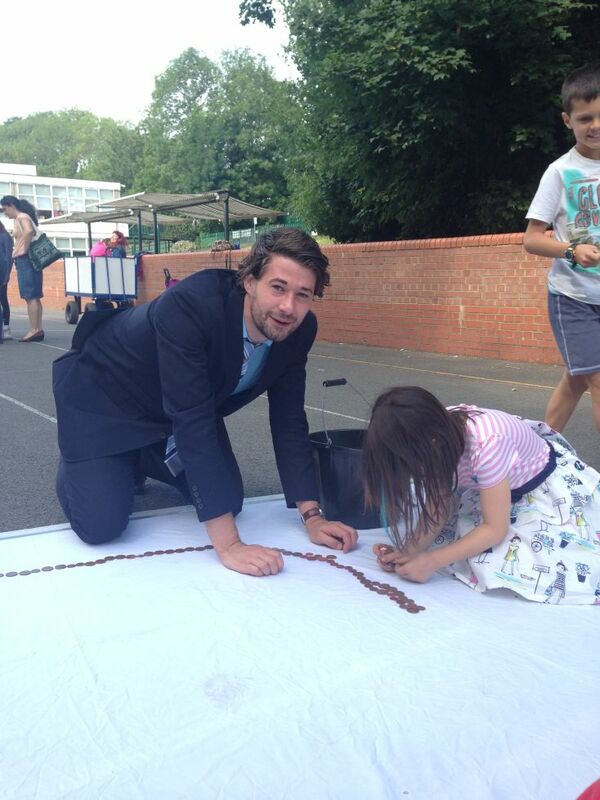 Muswell Hill Primary completed the annual 'Penny Competition' Click here to see photos. Click Here to see the pictures from our Picture Wall. Muswell Hill Primary School has been in the 'Ham and High' for Football Fridays. Click here to read more on this playtime enrichment activity. News in "Ham and High" about year 6 pupils from Muswell Hill Primary School drawing comic inspiration from Beano. Click here to read more. Click Here to read about pupils from Muswell Hill Primary School who created their own comic book. Young gymnasts from Muswell Hill win host of medals. Click Here to read more. On World Book Day 2014, the children and parents of Muswell Hill were honoured for their effors on BBC Newsnight. Kirsty Wark reported: To honour the parents' efforts we thought the final note tonight should go to the children of Muswell Hill Primary School in North London..." Click here to see our children sing the credits. Click Here to read about pupils from Muswell Hill Primary School in BBC Newsnight. 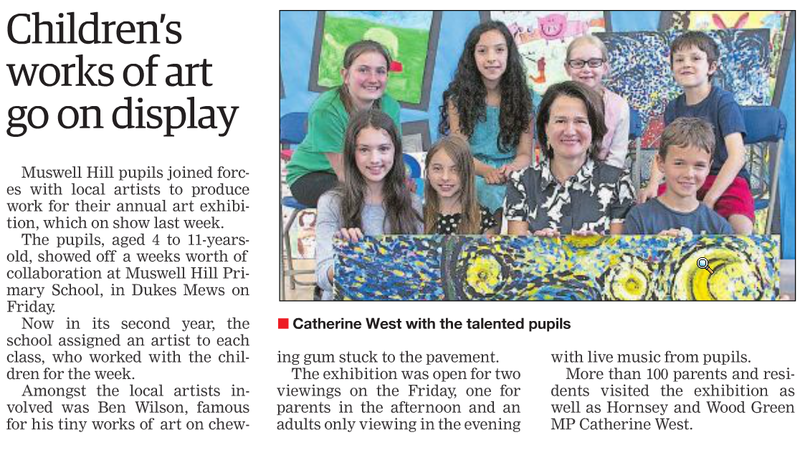 Click Here to read news about our school art week at Muswell Hill Primary School on "Ham and High".